Crashes with or without mods. Initially crashed when walking towards an area in spring that presumably had pengulls (I never found any during winter), and now the game gives the same crash on load. The stack trace in the log shows entityscript.lua was working with a pengull at the time. I'm having the same exact problem with a Hamlet-Compatible RoG world. I was kiting a Deerclops in the direction of some penguins when my game crashed. 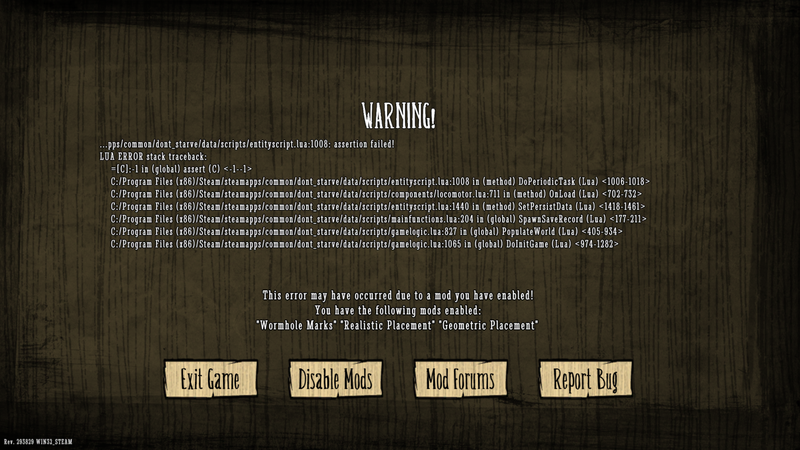 Upon trying to reload the world I got the exact same error message as OP. No mods and a default world.